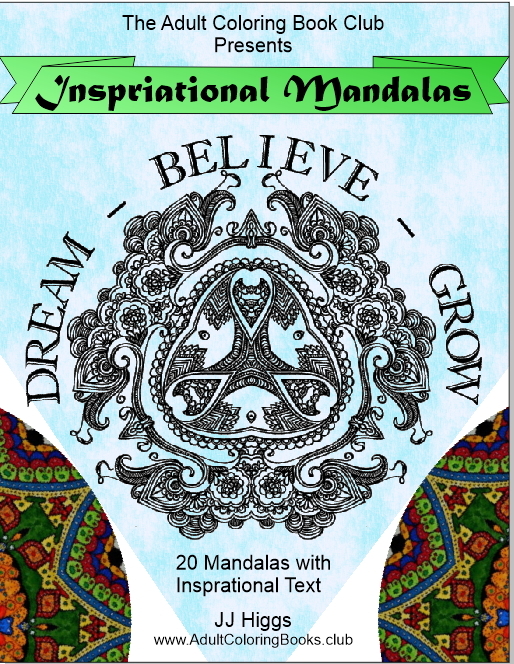 I love mandalas and this collection is a special favorite. We've created 20 unique and beautiful patterns and adorned each one with a few words of inspiration. They are visually beautiful as the phrases are designed to fit the motif of the mandala it is combined with. This printable coloring book comes in PDF format and allows you to print the images on whatever quality paper you desire, and to make multiple copies so you can experiment with different color patterns - or just start over if you feel like one is not going as you would like. Images are sized for high definition printing at 8.5"x 11". A Mandala is meant to represent wholeness. It is a cosmic diagram reminding us of our place in the word, and our relation to the great oneness of infinity. The designs are made to be visually appealing. When your is mind absorbed by the beauty and intricacy of the patterns, stressful thoughts fade away and your creative mind can run free. Even when just coloring for relaxation, it seems some of that greater significance seeps into us as we work. Perhaps that is why we find it so calming and centering to color in these lovely patterns. When coloring, we give ourselves over to our creative side for a bit. And there is something magical about the gentle rhythm of the coloring itself while we maintaining a gentle focus on our work. It is mesmerizing in a way that let’s the stress of the day melt away as we make ourselves something beautiful and fun. A coloring page gives us a bit of guidance so that we don’t have to be great artists ourselves, but leaves plenty of room for artistic self-expression. You may just want to enjoy your coloring time without worrying too much about how or why it makes you feel so good. But if you want to immerse yourself a bit deeper, allow yourself to take in the lovely designs; allow your mind to wander. If your thoughs get pulled away by the usual mundane things, simply bring your focus and attention back to the beauty of the mandala. Let it absorb all your attention. Enjoy the patterns you create with the colors you chose as you color it in. You may notice a feeling of lightness and a flow of more intuitive thoughts. Relax, and let the thoughts and feelings come to you and then float away without judgment - like watching clouds float across the sky, changing shape and form. It’s so relaxing to color these mandalas. Lot’s of details and tiny spaces, so it takes a little while. But that keeps me focused. It’s like meditation but more fun and colorful. Nice choices of sayings too. You can’t help but to keep them in mind as you color.